By 2020, Australia aims to generate 20 per cent of its energy needs from renewables. In The Climate Commission released a modelling of Australia’s future energy usage that indicates an increased reliance on solar energy. 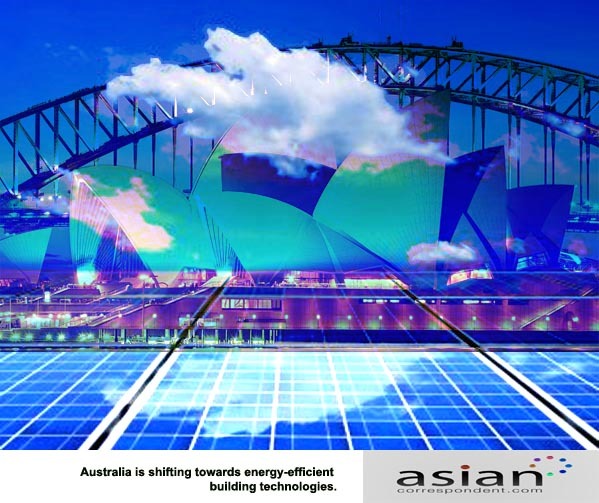 By 2050, solar photovoltaics are projected to provide 29 per cent of Australia’s power needs. Last year, the Climate Commission released a report– The Critical Decade: Generating a renewable Australia– which projects the unlimited potential of renewables, particularly solar. The report underscores a major shift in global energy policy moving towards renewables and Australia has an advantage given the enormous potential for solar generation as the world’s sunniest continent. The report also highlights major developments in Australia such as the cost of solar photovoltaic systems which have significantly dropped over the years enabling more consumers to shift to such technology. In 2012, over one million rooftop solar photovoltaic systems were installed, up from about 8,000 in 2007. About 2.6 million people, 11 per cent of our population, now use the sun for their electricity needs, the report said. AUSTRALIA IS BRACING FOR THE GREENER TIMES THAT WILL BRING TREMENDOUS OPPORTUNITY TO GREEN BUSINESSES WHILE COMMITTING TO A CLEAN AND SUSTAINABLE LIVING. Meanwhile, there are non-profit organisations that are working on renewable evergy targets in partnership with small and medium businesses. Beyond Zero Emissions is one of them. Check out their smart programs here.